You deserve this. 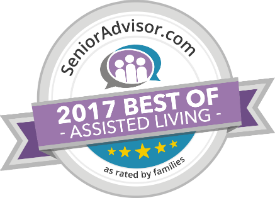 Welcome to the Barrington of West Chester, Ohio, where you can live your life the way you’ve always wanted, thanks to the dedicated, caring service of our experienced Senior Lifestyle staff. We offer both West Chester Independent Living and Assisted Living lifestyle options for our residents, who can always tailor their level of care to their needs. Take part in our award-winning programs, Fresh for You dining program, catch a movie in our theater, or pamper yourself with a massage in our relaxing spa. You’ll wonder why you didn’t do this sooner. Nestled between Four-Bridges Golf Course and Voice Of America Park, the four-story Barrington of West Chester overlooks lush green vistas, where residents often go for a stroll. It’s an ideal setting and location, close to shops, restaurants, and medical and service providers. Allow us to drive you wherever you want to go, whether for a scheduled physician’s visit or a night on the town with friends. Rather stay in? No problem. Grab a bite at the Fairway Grill, or enjoy our fitness center, beauty salon, barbershop, movie theater, craft area, wellness center, and Nineteenth Hole lounge. Apartments are so spacious and well appointed that you’ll marvel at the care and attention given to every detail. There are eight different one- and two-bedroom units in floor plans of your choice, equipped with washer and dryer, cable TV, weekly housekeeping, and our Stanley System, our state-of-the-art phone system that provides residents a link to our Resident Care Coordinators for their health and security. 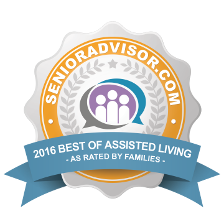 You’ll also find that most of our West Chester assisted living and independent living apartments also include a balcony or patio. While some communities insist on new residents plopping down huge, non-refundable payments up-front, we like to do things a little differently. We care about not only the physical and emotional well being of our residents, but their financial health as well. That’s why we offer our residents all the perks of country club living without the expensive buy-in—just a simple lease. All 105 of our apartments are dually certified so that you don’t have to move to make a lifestyle transition. All apartments have 9-ft. ceilings, a full kitchen, washer and dryer, and more. Explore nearby cities like Middletown. Stephanie has over three years of experience working in the senior living industry. Her favorite part about her role as Executive Director of Barrington of West Chester is hearing the life stories of the residents, whom she credits for really making the environment a special place to live. Stephanie’s hobbies include cooking, spending time with family, walking, and reading a good book. Her formal education was from Northern Kentucky University and Hondros College. Stephanie is excited for you to experience the Barrington of West Chester for yourself! “When my mother said that it was time to move from her home of 47 years and relocate closer to my family, I jumped at the chance to show her The Barrington of West Chester. She fell in love with it – and we couldn’t say enough nice things about her experience there. The staff really cares about the residents – and they work very hard to make sure that everyone who lives there is comfortable and has a good time. My mother’s move to The Barrington was a great move for all of us.” – Dan M.